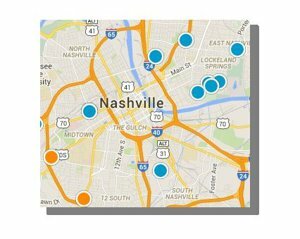 THE Most Comprehensive Database of Homes in Middle Tennessee With Powerful Tools and Fast Loading, Full Screen Photos To Simplify Your Home Search! Click to Create a Customized Search with your personal preferences. Then, just click "Save Search." and enter your preferred e-mail address. (You will receive only the information you request. We don't like spam either). You will be the first to know when a new listing or price reduction matches your criteria. Bonus! Once you create your saved search(es) you can log in to your account 24/7 at your convenience to see the newest listings in your desired location and price range with just one click. You can set up multiple searches or edit existing ones anytime. INTERACTIVE MAP SEARCH - NARROW IT DOWN TO HOMES THAT ARE CLOSE TO WORK, THE GYM AND YOUR FAVORITE GOLF COURSE. Use the Map Search Option to see what’s available in a specific part of town or see where the majority of the listings in your price range are located so you can focus on the right area to suit your lifestyle and budget. This is a great way to eliminate properties that are just too far for you to commute even though they are in your desired price range. After you run any search, simply toggle to the map view option and draw a circle around the ones you want to keep. The rest will be automatically eliminated with a quick click of your mouse. 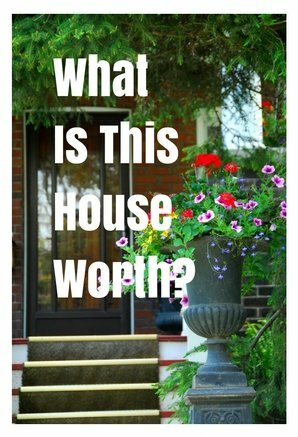 Want to know what homes have sold for recently in the neighborhood you are looking to buy in ... or, want to know what your current home is worth? Run a Customized Market Report for the City, Zip or Subdivision to get the scoop instantly. Sign up to receive monthly (or daily) updates for your desired community and stay on top of what's happening with the ever-changing local real estate market. If your house is not average, we'll be happy to schedule an appointment with you to provide you with a more in-depth look at your property value, completely free of charge. Just contact us and let us know how we can help. INTERESTED IN FORECLOSURES AND FIXER UPPERS? Use our customized Foreclosure Search to find the best deals on the market, including foreclosures, short sales, bank-owned (also known as “REO”), etc. as well as total rehabs or "fixer uppers." Need help finding exactly what you want for your investment portfolio, just let us know and we'll be glad to assist you. Check out the one-click searches we’ve already set up for you (at the right) to get a quick overview of the different styles of homes and pricing you can expect to find. Use our advanced search option and be as specific as you want to be so that you can really zero in on the houses that really fit your needs and goals. Putting in too much detail can narrow the choices too much but if there are features you just can't live without, this is the place to include them. From keeping tabs on the average mortgage interest rates to getting pre-approved, to researching local schools, finding out what's nearby, checking current and historical weather data and many other valuable tips for buyers and sellers, it's all here. Be sure to browse the Resources Section for Helpful Information and Tools for both Buyers and Sellers. If you still can't find the information you need, just click here to let us know and we'll be glad to help. READY TO TOUR SOME HOMES OR LIST YOURS ... OR JUST HAVE SOME QUESTIONS? Yes, there is a real person behind this website and we are here to help! We are passionate about serving our clients' best interests and ensuring that they have the attention and care they need and deserve from start to finish. We encourage you to call, text or e-mail anytime you need more personalized service. Whether you are ready to start looking at properties (or listing your current one) or just want guidance on the home buying or selling process in general, feel free to contact us at your convenience. We'll be happy to answer your questions about any property you find online (or just out driving) and can arrange showings for every house you want to see in one convenient appointment, no matter which company has it listed. We cherish our relationships with our clients and aim to earn your highest recommendation. We will be there to help you through the process, making your best interests a priority from start to finish.